Lossit House, armorial panel. General view. Lossit House (named Losset Park on OSM). 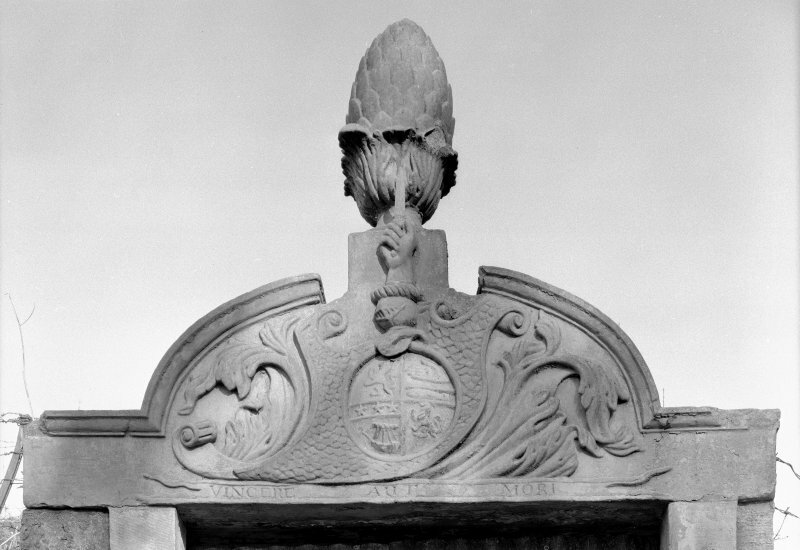 A stone pediment bearing the initials and arms of Lachlan MacNeil, of Tirfergus and Lossit with the date 1683 stands over a garden doorway close to the north end of the main drive.